Real Estate Business Cards in Los Angeles. Best Solution for you. Axiom Designs now offers high quality Real Estate Business Cards in Los Angeles, which high quality and creative design will help you to stand out from your competitors. Your trusted printing vendor and partner.Axiom Designs is one of best Los Angeles Print Shops. Every good realtor knows the importance of business cards. They are the single most common way to get your face, name, and number out to potential clients. You slip them into CMA reports, stack them by sign-ins at open houses, and hand them out at every meeting you attend. You need cards, and lots of them. Real Estate Business Cards in Los Angeles of Axiom Designs are created to provide the clients with the opportunity to leave a positive impact on the potential clients. Axiom Designs offers a wide range of Real Estate Business Cards in Los Angeles for the customers. At the same time, the customers are also provided with the option to create a real estate business card by using the templates and our professional designer’s services offered by Axiom Designs. The company provides excellent product delivery services to the customers. The company sets a definite date for product delivery. In any condition it is available to order even same day Business cards. 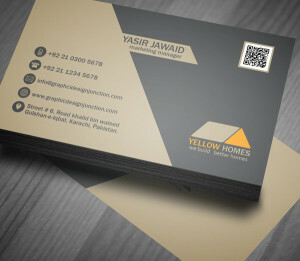 The real estate business cards are printed by using the latest technologies. At the same time, the graphic team of the company is very experienced and the printing work is done under their supervision. We value all of our customers and serve each of them individually. Each customer is assigned a dedicated project manager who oversees all aspect of our partnership. This means that despite the numerous of work we undertake to fulfill, your project will be done individually. Our account managers will work with you to meet your every requirement. Be sure you will get special and personalized service. Real estate business cards are used to get additional advantage in the highly competitive real estate sector. Every real estate agent faces the challenge of differentiating themselves from their competition. We can help you design Real Estate Business Cards in Los Angeles that make a big impression. Most real estate companies use three main colors for their signs, logos, and business cards: red, white, and blue. The reason for this simple, they stand out. Red, white, and blue don’t usually appear in places where real estate agents advertise with signs (lawns, driveways, storefronts). If you want your company to stand out, try using these colors. Or experiment with other vibrant colors (like bright orange or yellow) to stand out from your competitors. Add a great image or two. Because real estate agents usually travel alone, but still represent a larger company, many real estate agents include their picture on their card. This helps buyers and sellers to not only remember your name, but also what you look like. You can also choose to include you logo (which is recommended) and other graphics that represent how you do business. Remember to not include too many images, though, because this can make your card look crowded and unprofessional. Utilize the back of your card. 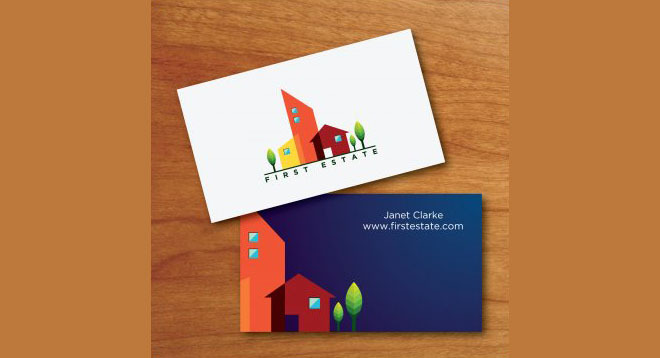 For real estate professionals, the back of the business card is just as important as the front. On the front, you always include your name and contact information, but the back is where we get a little more freedom. Many people include appointment reminders on the back which is extremely helpful for real estate professional, especially if you include the address of the property where you are planning to meet.